When you read the words “pokies tournaments” what do you think? Does it sound like everyone comes together in the same room to join in the tournament? Like you envision a major chess match would look with everyone standing around watching the players and then moving from round to round? Well, a pokies tournament with online playing isn’t exactly like this – but it’s certainly an awesome way to have a great time and to enjoy yourself online. Here we will explain exactly how pokies tournaments work and how you can get involved. Now, is you’re new to the idea of pokies tournaments, you might want to start out looking at some of the free online tournaments. There are actually tournaments were you can win real money even though you didn’t put real money into the games. These are called freeroll tournaments and they are worth checking out. Just as you might play a pokies game in demo mode to get a feel for it, playing a tournament in demo mode can allow you to really get a feel for the games and to understand how it works. Real money pokies tournaments are, of course, the best way to try to win money. The way that it works is that the casino will declare they are having a tournament. You then have an entry fee or a buy in that you pay in order to join in the competition. You’ll then receive your bankroll, or the number of credits that you get for the amount of money that you committed. You’ll then start playing as part of the pokies tournament and they will keep track of how much each person is winning. Keep in mind that your wins through the tournament aren’t added to your bankroll, but are put in a separate account to be part of the tournament. Then, when the game ends, the results will be tallied. So how do you win with pokies tournaments? These events aren’t winner-takes all which makes them more appealing. There is a payout structure that you’ll know about ahead of time to know how you get paid depending on how many credits you end up with. The prize pool is determined by a few things. It depends on the level of buy-in for the tournament and on how many people are playing in the pool. This is something you’ll want to check out before you join the tournament. At most online casino sites, you’ll see daily tournaments, and sometimes weekly ones. They can last different lengths of time and certainly pay out different amounts. All of this is determined by each casino site and it’s important to look at the details as you start to play. There are also multi-tiered tournaments and these are tournaments were your win determines the next level. Let’s say that they start with 100 players. Then, the top 50 players might go on to the next tier of the tournament and then the best 10 will go up to the next level, etc. Along the way there might be prizes for getting through one tier and to the next, and then a big win for the person who finishes first in the whole thing. All of these ideas create great energy in your pokies playing and offer you awesome ways to play and enjoy. 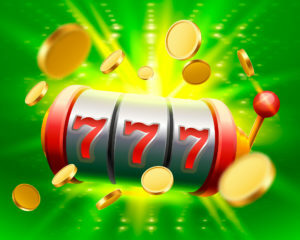 Try out pokies tournaments when you have the chance and see if they are a type of activity that you enjoy.